[front] [pen] Civil War. Bill born that year. 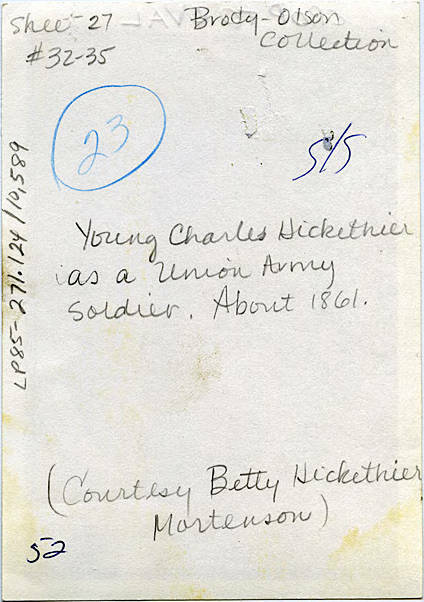 [back] [pencil] Young Charles Hickethier as a Union Army Soldier. 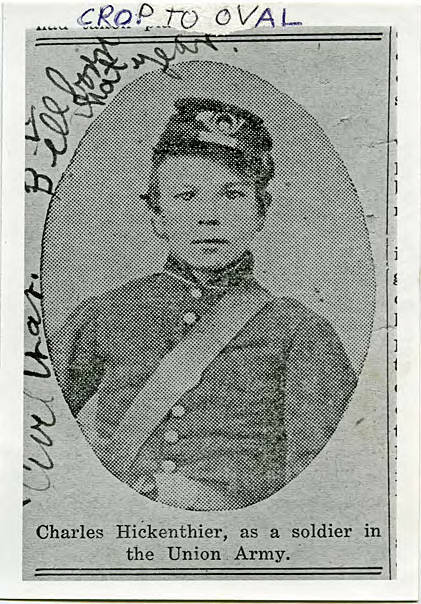 about 1861. (Courtesy Betty Hicketheir Mortenson).